It’s right for God to slaughter women and children anytime he pleases. God gives life and he takes life. Everybody who dies, dies because God wills that they die. God is taking life every day. He will take 50,000 lives today. Life is in God’s hand. God decides when your last heartbeat will be, and whether it ends through cancer or a bullet wound. God governs. So God is God! He rules and governs everything. And everything he does is just and right and good. God owes us nothing. That is an appalling statement, because it contradicts the righteousness of God that we seek to affirm – the righteousness of the God who pleads with sinners to repent so as not to die. It certainly is an expression of sovereignty, but not righteous sovereignty. “In him was life, and the life was the light of all people” (John 1:4 NRS). By definition, Christians define God as the good and the good is for all. Evil, in and of itself cannot be the good. The good can only be derived when God labors within an evil situation to bring it about. Perhaps that is what we should see as the miracle of the transcendent God. God is not part of the evil that exists because of human sin. Rather he brings about good because he is not part of the sin. Piper believes that God can do whatever he wants on the basis of power. That is wrong. There are certain things God won’t do because of his good character, even though he has the power to do so. God is moral and his morality is intrinsic to his character. He does not arbitrarily kill people. The Society of Evangelical Arminians has put together a nice article that summarizes and compares the five points of Arminianism to the five points of Calvinism. The FACTS acronym is based on the original Five articles of the Remonstrants. The Remonstrants were the Dutch followers of Jacob Arminius. Here are some great Arminian resources available on the SEA website (Society for Evangelical Arminians). Thanks to Ben Henshaw for putting together this list. Is God’s knowledge the cause of all things? A group of Arminian scholars and laymen have created a new website: www.evangelicalarminians.org. 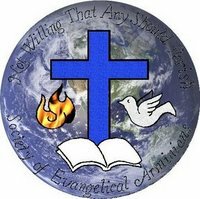 Welcome to the online home of the Society of Evangelical Arminians (SEA). Our society exists to glorify God by edifying his people, protecting them from error, and fostering the proper representation of our magnificent God to the world by lovingly and respectfully promoting and advancing sound, biblical doctrine and theology in the area of soteriology (the doctrine of salvation). That means teaching and defending Arminianism, the system of theology that we believe most accurately reflects the teaching of the Bible, the very word of God. It also means refuting Calvinism, a system of theology that lies within the pale of basic Christian orthodoxy, but that is at odds with Arminianism on many key points and that we believe seriously errs in its understanding of God, salvation, and the Bible. While we generally accept Calvinists as our fellow brothers and sisters in Christ, our passion for the glory, truth, and love of God compels us to stand against what we regard to be their faulty theology. In all of this we desire to conduct ourselves with love and respect for all, including those with whom we disagree. Our hope is that this website will eventually become a comprehensive guide and resource for Arminianism and the topic of soteriology. Towards that end we will be adding resources in the form of links, articles, and other types of information on an ongoing basis. At the same time, we will be running a blog that will regularly provide thoughts, reflections, and commentary about biblical truth from an Arminian perspective. In line with our goal to provide an abundance of Arminian resources, please remember that the resources provided here, including blog entries, do not necessarily represent SEA’s official position on any given issue. That is contained in our statement of faith, to which all members must ascribe. We hope that you will benefit from this site, and we pray that the Lord will guide you into his truth. To God be the glory in the Church and in Christ Jesus to all generations forever and ever! Amen! I’m very excited about this new Arminian resource coming online. There is a definite need for an Arminian presence on the internet – to help those who want to understand what Arminianism’s proponents actually teach. It is my belief that Arminian theology best expresses what scripture clearly teaches – God loves the world!